There's something alluring and mysterious about the near-black flowers. This is the darkest rose we offer. 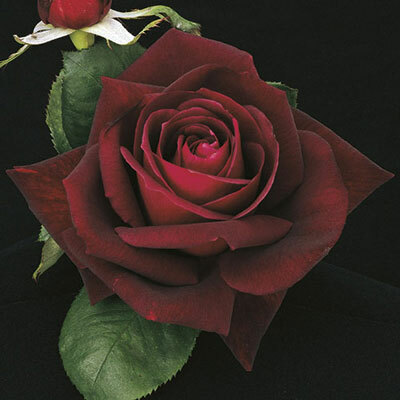 Its black pointed buds gracefully open to very well-formed velvety dark red blooms. Super large dark green foliage covers the bushy plant. Stands up to all types of weather. Very dark. Size can shrink in heat.